The links will work over the next week or so!! http://www.tonyfoale.com/ His book on Motorcycle chassis desighn is the specials builders bible, and his bikes are top bannana! 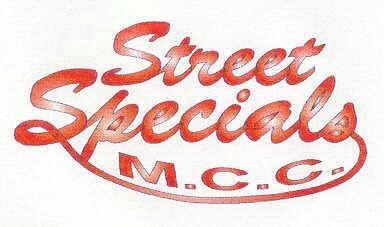 www.desmo.org.uk Go their, its this sites sister site all about the kind of Ducatisti the establishment don't like! Harris Magnum.co.uk includes a forum-go their! Home of the featherbed, & his own brand of frames too! Spondon engineering- I'll their site if it exists soon! Pre tek- The much used by SSMCC memnbers engineering company, home of cracking 6 pot calipers and 1000cc barrel's for Tridents among other things!